Is Cycling Worth the Risk of Injury in Florida? Recently in Georgia, a University of Athens student was struck and killed by a driver allegedly under the influence of drugs when she slammed into the 25-year-old cyclist. The graduate assistant was reportedly on a night bike ride with a group of cyclists, several of whom were injured and tossed into a nearby ditch. One of the other cyclists injured was listed in serious condition. The riders had been traveling single-file when a woman in a sport utility vehicle traveling the opposite direction reportedly crossed the center line and hit three of the riders. Investigators were later told by the 31-year-old driver that she’d been looking down at her cell phone when the crash happened. Her toddler was also in the back seat of the vehicle, and police suspect the defendant was on drugs. She was arrested on charges of first-degree homicide by vehicle, driving under the influence of drugs, failure to maintain lane and improper use of a mobile phone while driving. Although this incident happened in Georgia, it’s a familiar scenario across the south and in urban areas in particular, where bicyclists and motorists are more likely to encounter one another. Florida has historically had the most bicycle fatalities nationwide. The latest data from the National Highway Traffic Safety Administration is that there were 139 bicycle deaths in Florida in 2013. Not only was that more than any other state, it was also one of the worst when population was factored in – 6.99 pedalcyclist fatalities per 1 million population. Wyoming was actually No. 1, but it had a total of 5 bicycle deaths the entire year (to Florida’s 139), The only other state that even came close was Arizona, with a rate of 4.31 bicyclists deaths per 1 million. Bicycle deaths in Florida account for 5.6 percent of Florida’s total traffic fatality count — also worst in the nation. 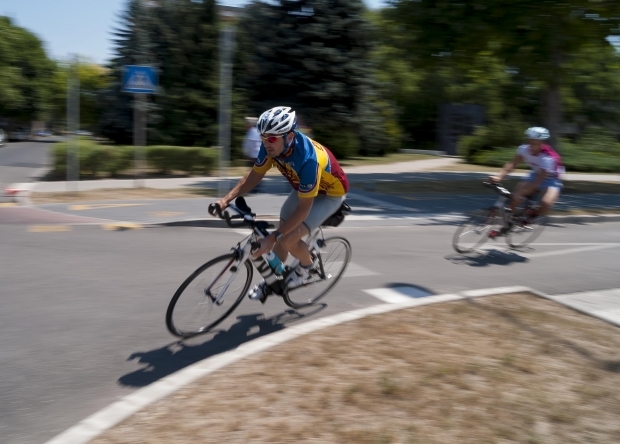 All of this is reason to pause and ask, “Is bicycling really worth it?” Of course, our Fort Myers bicycle accident attorneys know there are a host of benefits bicycling offers, from reduced pollution to improved health to increased social connections. But what of the potential risk of injury and death? A recent in-depth report by Financial Times Magazine suggests urban cycling is in fact beneficial for not just the rider, but society as a whole. The research team looked most closely at London, though they didn’t ignore the states and the findings can be applied to any large city. The research indicates people were more likely to die by walking (5,376 of the 35,100 people killed in motor vehicle accidents in the U.S. in 2015 were pedestrians, as compared to the 818 who were on bikes). Still, both of those figures are the highest they have been since the 1990s. Part of that has to do with the fact that more people are cycling. On the flip side, study authors noted there is a very real risk of damage to your health by being inactive, which contributes to far more early deaths in the industrialized world than bicycle riding or commuting. Most of the dangers faced are typically offset by the benefits of an active commute, which will often translate into an increased life expectancy. Still, that doesn’t mean we shouldn’t continue to be vigilant in trying to drive down the number of bicycle accidents and deaths in the U.S. and in Florida in particular. Continued efforts to ensure drivers are held accountable for driving impaired, distracted and careless are imperative.